Southwest Healthcare Services Swing Bed is a certified program of extended care services for persons not able to care for themselves, but who no longer need acute hospital care. 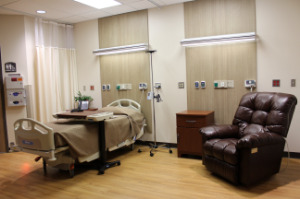 Since our Swing Bed unit provides extended care, you will find these services quite different from those offered in the acute care hospital setting. Our emphasis is on restoring the residents independence. Therefore, the resident and family are encouraged to actively participate in providing that care. Our swing bed unit not only accepts patients that are in need of skilled services (rehab, skilled nursing needs) but also accepts patients awaiting long-term care placement and the need for end-of-life care. For further information, please contact Social Service Designee 701-523-4133.